If you are a user of the Boots Olive Wonderbalm with almond and sage and have been looking for a more cost-effective alternative, you are in for a treat! Marie at Humblebee & Me has figured out the formula and now you can make you own for just 4% of the price of the original product! She’s also managed to do it while removing all the petroleum products and preservatives. It doesn’t get better than that! Of course, with any recipe, there’s room for you to add your own “signature scent” if you’d like. 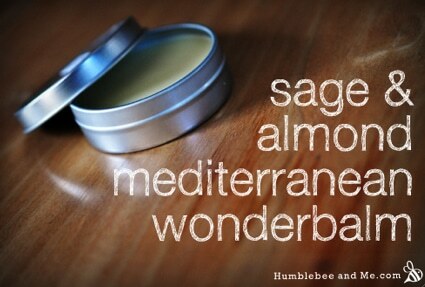 Hop over to Humblebee & Me for the recipe and learn how to make your own wonderbalm that nourishes and moisturizes like crazy.